Poshina, located at a distance of 18 Kms from Ambaji in Sabarkantha district is the perfect vacation place to explore the tribal lifestyle and culture. Explore this beautiful village for the captivating and colorful tribal communities. Home to tribal like Garasias, pastoral Rabaris and Bhils is adorned with thousands of terracotta horses. While being at this distinctive tourist destination opt to stay in the heritage hotel that were once the palace of the erstwhile rulers featuring hug gateways, numerous arches and pillars, massive dome, pleasant courtyard, terraces etc. These heritage hotels are renowned for serving their guests with home cooked Gujarati and Rajasthani cuisine. 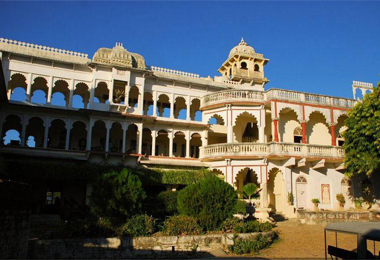 Enjoy the true rustic flavors spilled over this historic property while being treated by the royal Rajput hospitality. The hotel staff is well trained and friendly at the same time leaves no stone unturned in making its guest feel pampered. The accommodations provided in these hotels are furnished with antiques and period furniture. All the rooms of the hotel feature attached baths with European toilets and running hot-and-cold water all round the clock. The other to eye upon include Doctor on call, Florist on request, Laundry and dry cleaning, Major credit cards accepted, Postal services, Free newspaper, Color television with satellite channels, Currency exchange, Swimming pool etc. The Poshina Palace Heritage hotel are the most sought accommodations and booking it through the HeritagehotelsofIndia online portal one can avail great discounts.